The aniversery of the Tsunami disaster and Mieszko's passing is coming up. 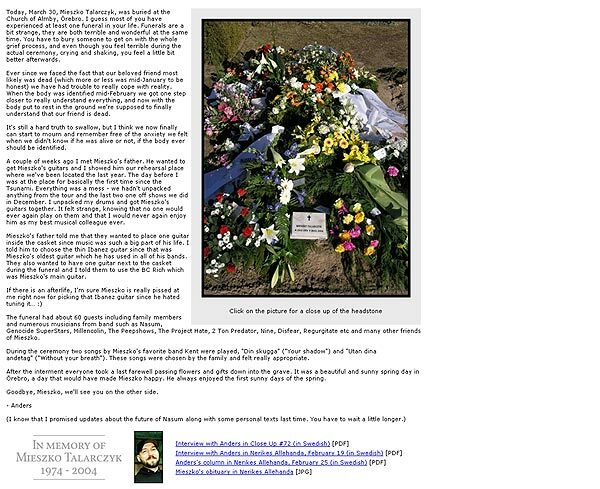 Now you have a chance to send a message that will be placed on Mieszko's grave around the 26th and brought to Thailand and placed at the Memorial site mid January 2006. Matte of Genocide SuperStars is heading towards Thailand early January and will bring the messages to the official Memorial site at Phi Phi. He will document the event and share his photos at nasum.com. 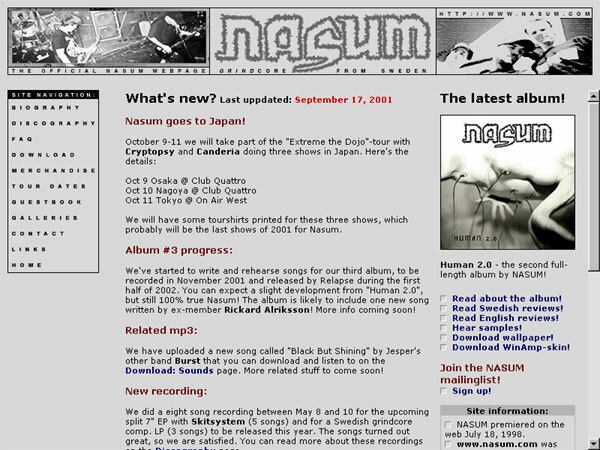 The messages will be published at nasum.com around the same time. 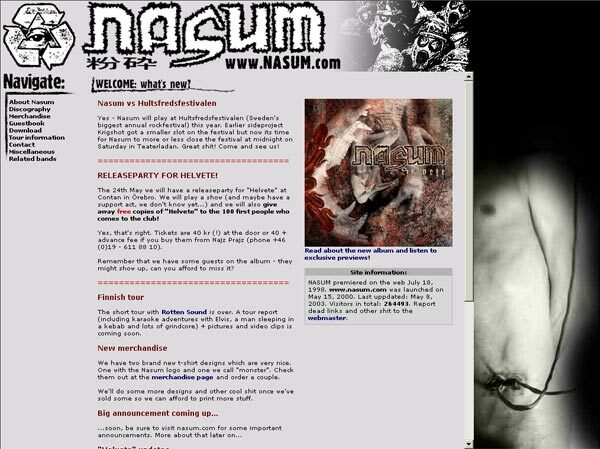 The complete biography of Nasum covering the entire history of the band, from the early years to the end of band in 2004... And a slight addition of the 2012 Farewell return. 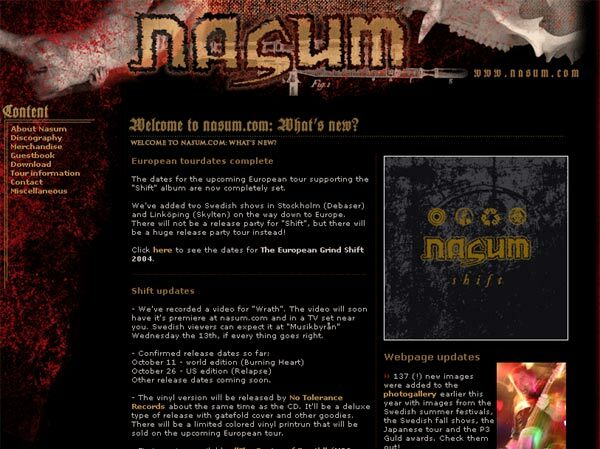 The definite guide to the Nasum discography with lots of photos of every release, along with all possible information and comments written by Nasum's Anders Jakobson. 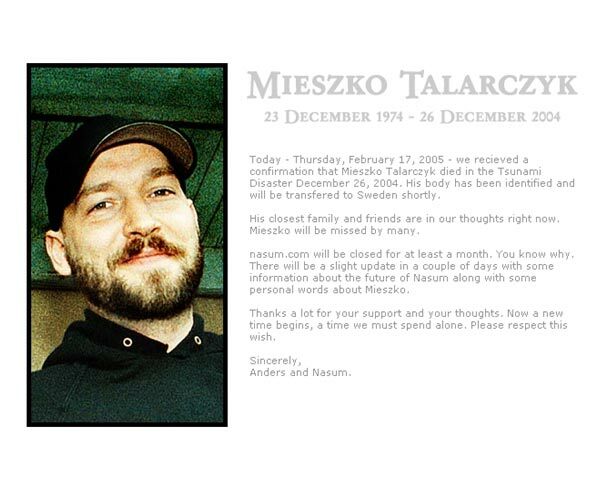 Nasum remembers former lead singer, guitarist, song writer and producer Mieszko A. Talarczyk with eulogies, pictures and more. Includes Mieszko's own words about the "Helvete" recording. 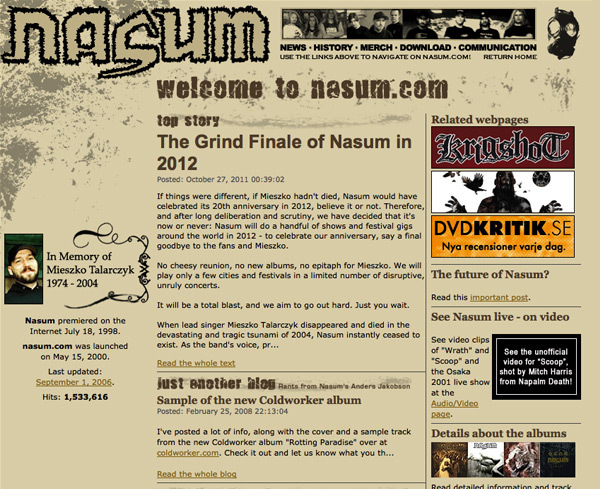 A complete run down of each and every show Nasum performed from the first one in 1995 to the final stage appearences in 2012. 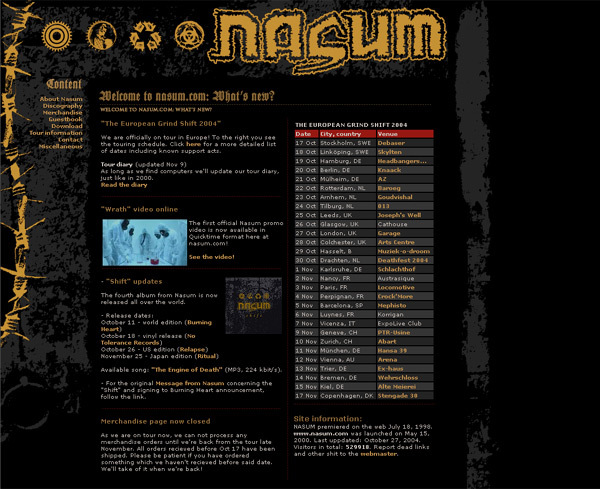 Lyrics to all Nasum songs, organized release by release.